XXII Winter Olympic Games start in a week. The story of choosing Sochi as Olympic Capital started in 2007. The application was supported from space by Oleg Kotov, Fyodor Yurchikhin and Mikhail Tyurin. Now 7 years later it is they to be the main characters of Olympic relay again. 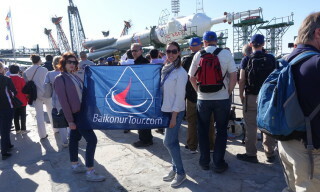 Olympic rocket carries winter Olympics symbol beyond the Earth. This part of the relay is the most spectacular throughout the whole Olympic history. Now we can call the relay really orbital.The Olympic torch conquered the space. - Hi, Misha!- says ISS-38 flight engineer Sergey Ryazansky. - It was a great event since our friends and colleagues came and Sochi Olympics symbol was delivered. Everyone treats this event from different points of view. But still Olympic symbol has never flown 400 km high. For the fists time in world history the torch was carried in the open space and made an orbit around the Earth. It is a beautiful, splendid event! Thanks to both State and Roscosmos authorities that they didn’t pay attention to all those who were against it thinking it is just a PR campaign and we do not need that. It is no PR. I may tell it frankly there were representatives of USA, Europe and Japan in our crew and the Olympic torch relay we performed onboard the ISS all 9 crew members took part in was a great event. 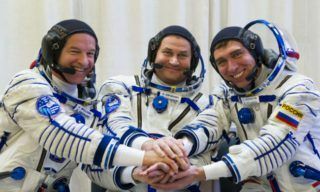 You should have seen their faces, – ISS-37 crew commander pilot-cosmonaut Fyodor Yurchikhin says. This space story started several years ago. The whole world was followed the process of choosing XXII Winter Olympic Games capital. When 119 international Olympic Committee session in Guatemala was ready to make its choice Russian city of Sochi got the support right from the space. During the voting ISS cre of Fyodor Yurchikhin and Oleg Kotov couldn’t get a wink of sleep. After the first stage of voting we had to fight with South Korea candidate city. It was late at night… and suddenly – we won! 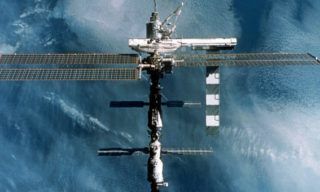 – ISS-37 crew commander Fyodor Yurchikhin. When it was clear that Sochi is a future Olympic capital every time ISS flew above Caucasus seaside took a camera since he understood that everything here will change soon. “I started taking pictures of the river, Red meadow, all places around as we didn’t know for sure where he construction starts. Since then ISS crew photographed these places every time, while Earth remote satellites were doing the same too. Due to these shots we may see the history of this magnificent construction. “One of the 1st shots made in 2008 when Sochi became the Olympic capital. On the shots made in 2009 we may see the fist planning of all Olympic objects”, – Natalia Burtseva explains. On the shots of 2010 the construction is under way. The trench for “Shaiba” ice rink is already dug, “Fisht” stadium construction started, almost all junctions are constructed. Next shots demonstrate the Olympic village where sportsmen all over the world will live during the Games. The Central Square where the opening ceremony will take place may be seen on the shot made in November 2013. It is paved so that it looked like patchwork blanket. A large quantity of people will gather here soon. And cosmonauts and satellites will continue watching Olympic Sochi. Resource-DK, Resource-P and Canopus-V satellites make shots of Sochi every 3-4 days. The satellites are controlled from Earth operational monitoring Scientific Centre who also gets and summarizes all information. The Centre is Roscosmos operator of all Earth remoe sensing space systems. The shots are processed there, and the Centre creates The Olympic Games chronicles. “We see how Sochi changed. 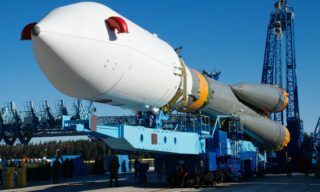 There appeared seaside cluster, Adler airport and Red Meadow roads were modernized”, – JSC “Russian Space Systems” Earth operational monitoring Scientific Centre Head deputy Andrei Shokol reports. Over the whole period of Olympic and Paralympic games Sochi will be monitored from space. It will be not only for XII winter Olympics chronicle but first of all for the safety of the sportsmen and Olympics guests. “The works won’t finish here, since it is an important strategic site of Russian Federation. It is the best Russian health resort and without any doubts the monitoring will be interesting for security services and emergency services”, – Shokot pointed out. The Olympic torch gets closer to Sochi. It has already covered a distance of thousands kilometers united people of different towns and cities. “the relay was long, the whole country was involved in it. Three of our cosmonauts took part in the relay. The ran holding the torch, – GCTC head Sergey Krikalev states. Valentina Tereshkova carried the torch in her mother town Yaroslavl. It is her second Olympic torch relay. 33 years ago she carried the torch when XXII summer Olympics took place in Moscow. She is very glad about taking part in Olympic events. One of the most prominent cosmonauts of Russia Sergey Krikalev is also closely connected with the Olympics. He took part in the Games in 80, but he was in the back-up tem, not the main. In Minsk he tested the infrastructure for the sportsmen and already then he understood that it is his ways – to conquer Olympic and Space heights. “The cosmonauts made the reputation of Russia. It is just the same with the sportsmen, when they stand on the pedestal,- Sergey Krikalev specifies. It was the first time the main Olympic symbol got over the Earth gravitation. The torch was handed over from module to module. Koichi Wakata – Japanese Kibo module. Then through European module to the American one from Luca Parmitano to Michael Hopkins. It was indeed an international space relay. “It was a real relay. 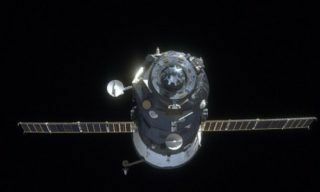 We started from Japanese Kibo module, thin finally it was en flew through Calambus, through American segment to Russian. 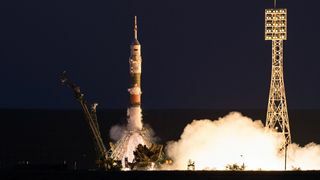 And finally the torch was placed in Soyuz TMA-09M spacecraft”, – ISS-38 commander Oleg Kotov reports. Run with the torch on a tracking race and then – spacewalk. -I’m coming. Hold it, – one of Russian cosmonauts asks for support. The torch makes an orbit around the Earth. For such unusual photo session the duration of the spacewalk was increased by several hours. The torch flying above the Earth is of prior importance. 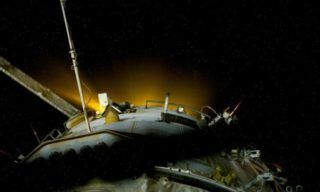 Space torch specially was modified for EVA. There is no fire device inside the torch since the fire in space is impossible. But the torch was equipped with special fasteners and checkers. Not to tear the spacesuit it has 2 special fasteners on the handhold. 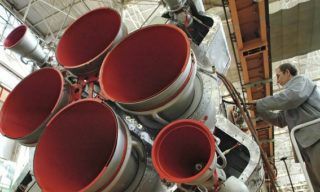 In the open space everything both cosmonauts and objects has to be fixed in two places. “We handed over the torch thoroughly protecting it to prevent the loss and damage. It was a very responsible operation. We were warned to treat the torch very carefully not to spoil its look”, – Kotov explains. 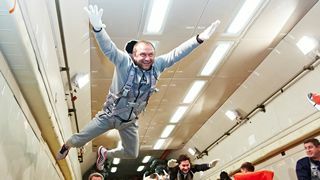 “I believe that for everyone taking part in the relay it was a very important event, – ISS-38 flight engineer Sergey Ryazansky underlined. For cosmonauts Olympic torch is not just a symbol. It is like a crew member! During the landing the torch was the fourth member in the descent module. 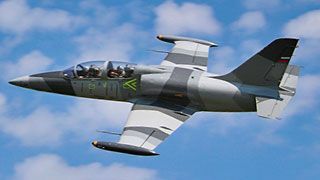 “During the landing it was more difficult since it was delivered in habitation compartment. 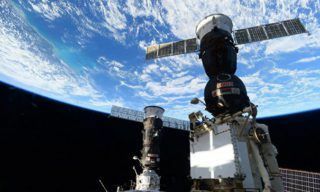 We couldn’t place it there since the habitation compartment burns during the landing and the torch was placed between me and Luca, – ISS-37 commander Fyodor Yurchikhin. Olympians and cosmonauts. These people at the tether prove that we can do better! “Dear friends! The whole world is waiting for the Olympic Games to start. Our country has been living these games long ago. And we all are proud that it was Russia, it was Sochi to win this battle! 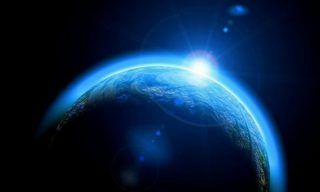 – Kotov and Ryazansky reported from the Earth orbit.